Sunday night, John Oliver merely pointed out a problem (again), and the results were pretty predictable if you’re familiar with the last time he did similar. The most recent episode of HBO’s Last Week Tonight’s main segment concerns net neutrality and all the ways Federal Communications Commission chairman Ajit Pai has tried explaining that it’s a frivolous concept — sentiments echoed by senator Ted Cruz and others in a recent Washington Post op-ed. Well, as a result of Oliver setting up a URL that makes it incredibly easy to express your interest in maintaining an open internet to the FCC, parts of the regulatory body’s website have been crippled under the server load. Page loads for GoFCCYourself.com are lethargic, but sections of the FCC website that Oliver’s custom URL doesn’t point to seem to be running normally. It’s just the comment page for the net neutrality case that’s been struggling under the sudden influx of traffic here. The reason for the redirect in the first place? As Oliver illustrates in the video below, finding the actual page to tell former Verizon lawyer Pai and his compatriots that an open internet is deeply important to you was extremely convoluted. As you can imagine, this isn’t the type of thing that’d reside on the FCC’s (currently) functioning homepage. Getting to the comment section involves finding the comment page, knowing the proceeding number and then realizing that the resulting link with “+ Express” means that’s where you go to register your feelings on the issue. GoFCCYourself sidesteps all that and takes you directly to the comment page. It’s pretty handy, which probably at least partly explains why the site is experiencing so many issues at the moment. Unlike the last time this happened, the FCC has yet to tweet about the page’s non-responsiveness so we’ve reached out for more information and will update this post should it arrive. Something tells us the organization has its hands full with other problems this morning, so maybe we shouldn’t hold our breath waiting for a comment. In early 2016, Apple was embroiled in a battle with the FBI over privacy, specifically whether it could (or would) crack an iPhone 5C following the San Bernardino terrorist attack. Apple refused to specifically create a backdoor piece of software that would circumvent the security protections built into iOS, citing concerns for the privacy of the other millions of people out there using iPhones and iPads. Ultimately, it became a moot point: the FBI purchased software to crack the iPhone in question. The agency refused to say how much it spent, but now Senator Dianne Feinstein has revealed that it cost $900,000 to break into the shooter’s phone. That’s less than the $1.3 million that was estimated before, though that estimate was a back-of-the-napkin calculation based on a statement from FBI director James Comey. He said that the cost to the FBI was greater than what he’d make in the seven years and four months leading up to his retirement. Reuters did the math based on his salary, but it looks like the figure wasn’t quite accurate. Senator Feinstein noted the $900,000 figure this past Wednesday while questioning Comey at a Senate Judiciary Committee oversight hearing. “I was so struck when San Bernardino happened and you made overtures to allow that device to be opened, and then the FBI had to spend $900,000 to hack it open,” Feinstein said (as reported by the AP). She would know — she’s the top the Democrat on the Senate committee that oversees the FBI. You have to sympathize with Matt Furie. The Boy’s Club artist created Pepe the Frog as a positive, mellow character, but the amphibian got hijacked by the “alt-right” and became virtually synonymous with bigotry despite attempts to save him. So now, Furie is taking the next logical step: he’s declaring Pepe dead. If you picked up Fantagraphics’ Free Comic Book Day offering on May 6th, you saw a strip where Boy’s Club characters mourned Pepe as he rested in an open casket. It’s no doubt a hard decision for Furie (would you want to kill one of your cherished characters? ), but arguably an important one — he’s effectively acknowledging that the internet has taken control of his creation. Pepe is the quintessential example of the internet discovering something funny, creating a joke from it, and giving it a life of its own. After web surfers discovered the huge-eyed frog, he was originally used for relatively innocuous purposes on sites such as 4chan (you’ll still see him in generic “feels good man” and “feels bad man” memes). However, alt-right communities like 4chan’s /pol/ and Reddit’s /r/the_donald eventually latched on to him as a mascot for both racist views and support for Donald Trump. Combine that close connection with mainstream exposure (Trump even tweeted an image of himself as Pepe) and it would be very, very hard to disassociate the character from the far right ideology he has come to represent. We checked in on both /pol/ and /r/the_donald, and both are celebrating Pepe’s “death” as proof that they effectively own his identity. You’re not likely to see too many other examples of this happening. However, this also illustrates the sense of helplessness that creators sometimes face online. How do you take legal action to protect your work when anyone with a social account and a search engine can abuse it? Furie’s decision to kill Pepe may be his best bet. He might not get to reclaim Pepe or get compensation, but he can at least prove that he’s not involved in spreading hate. GrubHub makes it pretty easy to scrounge up food when you don’t feel like picking it up yourself, and now the food-delivery company wants to extend that to how you eat when traveling. Travel site TripAdvisor has announced that starting today, when you’re planning your next vacation and mulling options for dining and entertainment in some 1,100 cities, GrubHub’s network of restaurants will be in the mix. The companies say that if you see the “order online” button next to a listing, clicking it will redirect to GrubHub’s website. This marks another step toward GrubHub putting itself in more places where it makes sense. This past March, the company added a skill to Amazon’s Alexa platform that enables users to order food with their voice. Should GrubHub and TripAdvisor take this relationship further, hopefully the names don’t change. After all, GrubAdvisor sounds more like an information repository for how to get rid of the moles plaguing your backyard than it does a service for ordering food while jet-setting. Citymapper is known for its popular route-planning app that helps people get around town. This week, though, the company is taking a more active approach to transportation, operating an actual bus route in London. CMX1 will only run from Tuesday, May 9th, through Wednesday, and it’ll be free for all passengers. As you’d expect, it’ll also feature in the Citymapper app and show up in route suggestions where appropriate. But what might surprise you is this isn’t quite the marketing stunt it appears at first to be. Citymapper is legitimately thinking about becoming a public transportation player. CMX1 will drive a short loop in the center of the city, crossing Blackfriars Bridge and making its way back across the River Thames via Waterloo Bridge. It will use existing London bus stops along the route and arrival times will even show up on the standard departure boards. The buses will look a little different, however. They will be green, for starters, and smaller than regular buses with only 30 seats. Passenger will also have access to USB ports for charging their phones while traveling and a big screen towards the front of the bus will display the current location and upcoming stops on a map of the route. Drivers of the Citymapper “Smartbus” will have a tablet in the cockpit that feeds back real-time traffic information, shows the current passenger count and how far apart other buses on the route are (for regulating the service). This gives you an idea of why Citymapper is experimenting with running a bus service in the first place. It’s all about data. You see, Citymapper has intimate knowledge of how people navigate all the cities its app caters for, and with all this user data it built a tool known internally as “Simcity.” Plug a potential bus route into Simcity and it’ll tell you the most likely places people will board and get off. The simulation can extrapolate this to give you a good idea of how many buses the route would need to keep up with demand, how much money they could take in fares, and score how efficient the route is. To actually operate a route, though, Citymapper also had to create software for managing a fleet of vehicles and getting them to share information with each other. It’s a means to an end, because the company is planning to take things further than this week’s two-day experiment. 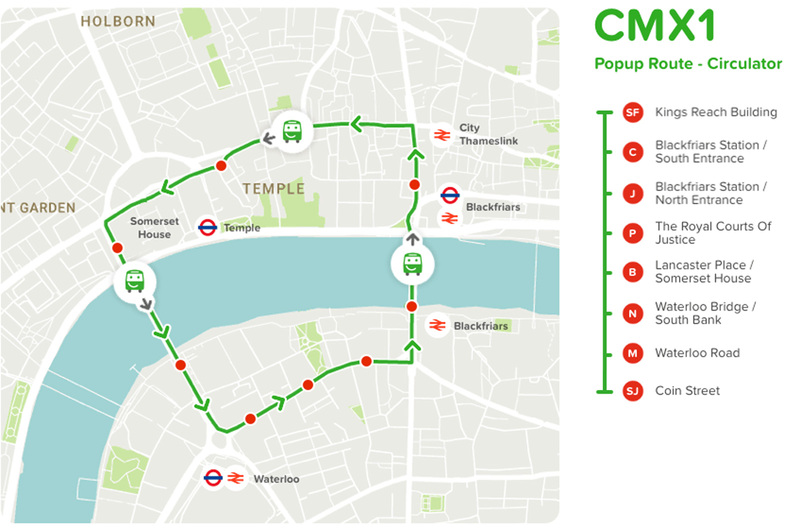 CMX1 functions like a normal bus route, but Citymapper imagines one day running an altogether more dynamic service. One that can react to demand in real-time and where vehicles can change their route based on traffic information while still pulling up at predefined stops. The grander goal is to “solve urgent problems of congestion and infrastructure,” and improve the experience for passengers. Citymapper wants to use big data to create new and better routes, and it helps there’s money to be made in putting people on seats — we imagine its software might be worth something to interested partners, too. Speaking to WIRED, Citymapper CEO Azmut Yusuf confesses turning a profit is part of the plan. “We’re not really monetizing as a company,” he said. “This makes money. So we think if we can do this well, it will pay for itself.” Right now, though, regulators aren’t really prepared for a dynamic bus service as Citymapper imagines it. Though no appropriate license exists right now, Transport for London is in active discussions with Citymapper about how it could work in the capital. So who knows. Perhaps buses are the present and future of ride-sharing. Apple’s stock is currently trading above the $150 mark for the first time ever, after factoring in a 7-for-1 split in 2014, giving the company a record-high market cap of nearly $790 billion. That means Apple is just over $200 billion away from becoming the world’s first trillion dollar company. Google Finance shows Apple flirting with the $800 billion mark today, but the tool appears to be overcounting the company’s number of outstanding shares, which totaled 5,225,791,000 as of last quarter. Apple’s outstanding shares have declined as the company continues its share buyback program. Apple’s stock price will actually need to hit around $153 based on basic outstanding shares, or around $152 based on diluted outstanding shares, for a true $800 billion capitalization. Either way, it’s close. Apple’s stock has been on an impressive run since dropping to as low as $89.47 in 2016, when the iPhone maker reported its first decline in annual revenue since 2001, and its first drop in iPhone sales ever. Apple analyst Brian White of Wall Street investment firm Drexel Hamilton continues to believe Apple “remains among the most underappreciated stocks in the world,” with “attractive upside” for investors. White raised his 12-month price target for Apple’s stock to $202 today, up from an already bullish $185. Apple’s valuation has been depressed for years as investors grew concerned that Apple would fall victim to the missteps of consumer electronic companies of the past. However, Apple has proven its resilience through its unique ability to develop hardware, software and services that work seamlessly together. We believe this positions Apple very well to capitalize on the trend toward more “things” becoming a computer. White’s price target implies that Apple could become the world’s first trillion dollar company within the next year. Apple shares trading for $202 would currently give the company a market cap of around $1.05 trillion. Over a dozen prominent Wall Street analysts remain upbeat about Apple’s stock price heading into the second half of the year, with lots of excitement surrounding the significantly redesigned “iPhone 8” expected to launch in the fall. The smartphone’s sales may be boosted by a large “supercycle” of users due to upgrade. Apple’s stock had briefly declined to as low as $144.27 last week after its second quarter earnings results fell slightly below Wall Street expectations, but the drop proved to be only a blip on the radar. Mother’s Day takes place in the United States this Sunday, May 14, and Apple is gearing up to launch an all-new challenge in the Activity app for Apple Watch owners in order to celebrate the national holiday. The challenge will begin showing up in the Activity app this Friday, May 12, but will only be open on Sunday. To accomplish the challenge, users will have to complete a walk, run, or wheelchair workout that lasts for one mile or longer on Mother’s Day. Users who meet that goal will get a Mother’s Day achievement in the Activity app, and a sticker to use in Messages. The challenge will only be available to Apple Watch owners in the United States (via 9to5Mac). Mother’s Day will mark the fourth public challenge that Apple has debuted for Apple Watch owners, coming after a 3.1-mile workout on Thanksgiving, an Activity ring competition in January to celebrate the New Year, and a 30-minute outdoor exercise on Earth Day. Apple Watch owners can track their Mother’s Day workout through Apple’s own Workout app, or using any third party app that can connect and track exercise data through the Health app. 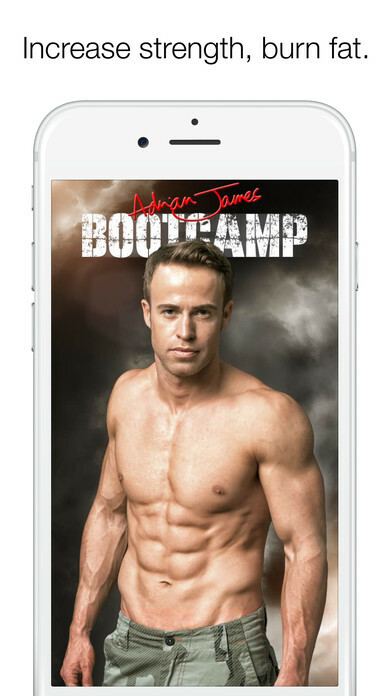 Similar to the previous Activity challenges, users will have only the designated window — in this case, one day — to complete their workout before the achievement and sticker are no longer able to be earned. Apple may be planning to purchase half a city block in downtown Reno, Nevada, for the purpose of creating a purchasing and receiving facility, reports Reno’s KRNV. The Reno City Council will discuss Apple’s plans to purchase the property, located at 6th Street and Evans Avenue, at a Wednesday meeting. Apple is planning to build the facility alongside a planned data center at the Reno Technology Park, which Apple has been pursuing since 2012. A filing from an assistant city attorney states that Reno and Urban Development have a reimbursement agreement to allow Apple to buy the land. The agreement would have Apple getting sales tax reimbursements through Urban Development for the cost of buying and adding to projects in the city’s Téssera district. 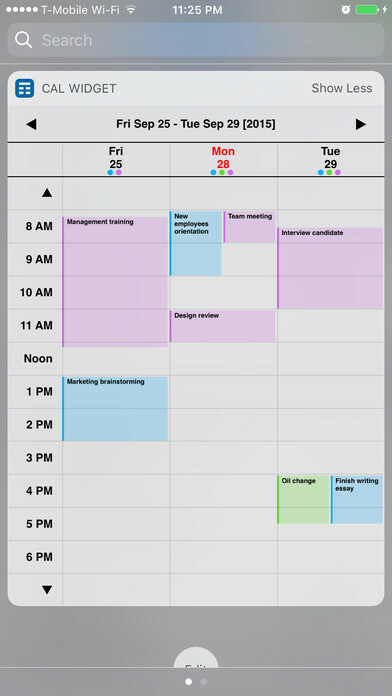 Daygram is a simple, electronic-ink-themed diary. Unlike many complex and unwieldy diary apps, Daygram embraces minimalism. 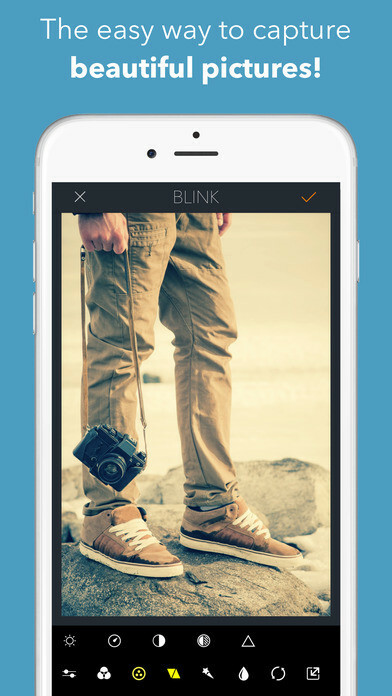 Its simple and intuitive interface will allow you to focus on your writing. Get in the habit of writing about your daily events and thoughts. 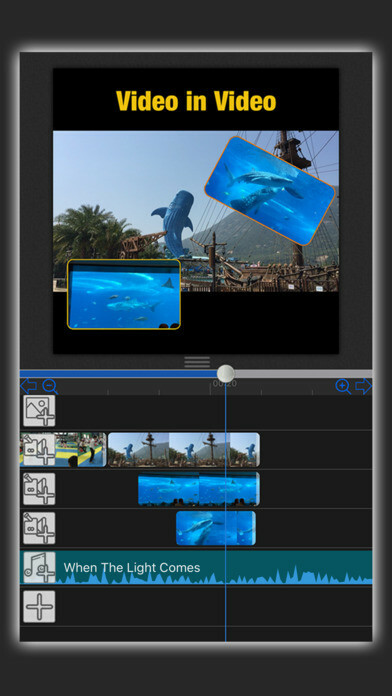 Through MovieSpirit, you can combine all media elements such as video, photo, music, text, and voice with your creative ideas. What’s more, you can add a range of effects to them (scene switching effects, text animation, and more). Capture your mood and improve your thinking habits through an innovative approach to journal-keeping. 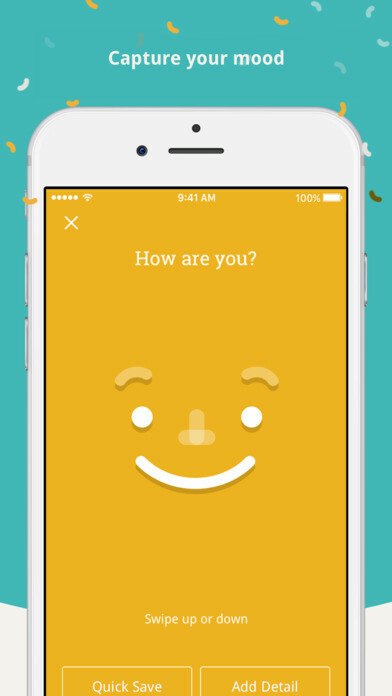 Moodnotes empowers you to track your mood over time, avoid common thinking traps, and develop perspectives associated with increased happiness and well-being. Apply stunning filters to your photos in a manner that is easier than ever. Choose between a beautiful collection of stunning filters to make your photos achieve the specific look and glow you want. See your week events right from the notification center. Scroll up and down or scroll previous weeks and future weeks, or visit your full calendar at your fingertip, all without unlocking your device. As it did last year, Google has released a developer preview for Android O two months before the company’s developer conference. While there wasn’t a public over-the-air update at first, requiring users to manually flash the system images to their phones, the Android O Beta program is said to be launching “soon.” Once this happens, you ought to be able to download O over the air. Google has posted factory images for the Nexus 5X, 6P, Nexus Player, Pixel C, Pixel, and Pixel XL. We should caution, however, that the first developer preview is often the buggiest. There could be bugs that brick your device, so make sure you back up your data before you do anything. In early May, Google announced the imminent availability of a public beta (as well as the conclusion of the Android Nougat beta program). Still, if you want to take a crack at seeing Android O now, we have put together this comprehensive guide detailing each and every step. Flashing the factory image differs from installing the over-the-air (OTA) update in that the factory image contains the full system files for your device, whereas the OTA update contains only the upgrade information. In other words, flashing a factory image is more like completely deleting all the software on your device and replacing it. The OTA will only replace what is being changed since your last update. Some people prefer to install the OTA update since you don’t have to do a factory reset, while others like the factory image method because it’s like starting from scratch with a fresh install of the entire system. It’s more of a pain to factory reset your device, but you are less prone to some of those annoying bugs that seem to crop up after an OTA update. Remember to make sure all your data is backed up, because you will lose all your data on the device when you unlock the bootloader, which is required for flashing. There is no way to unlock a bootloader without a factory reset. However, if you happen to already have an unlocked bootloader, then you can forgo the factory reset if you wish. We will show you how later on, but we still recommend that you back up your data in case something goes wrong. In order to flash the factory image to your Nexus or Pixel device, you must have ADB and Fastboot installed on your desktop computer. ADB stands for Android Debug Bridge, and it allows you to send commands to your Android device over USB through a terminal/command-line interface such as Windows Command Prompt. Fastboot allows you to unlock the bootloader on your Android device. There are two methods to getting ADB and Fastboot on your computer. The first is to download and install the Android SDK tools from the Android developer site. This method will work on Windows, Mac, and Linux machines. If you’re a Windows user, you can download and install Minimal ADB and Fastboot instead, which is actually the easiest method. However, we recommend installing the Android SDK tools because the download will also give you the Google USB drivers at the same time, which you will need in order for your computer to recognize your device. If you do decide to install Minimal ADB and Fastboot, you can still download the Google USB drivers separately. We will show you how to do that later. Follow the instructions below for either installing the Android SDK tools or Minimal ADB and Fastboot. Once the Android SDK Tools are installed, launch the download from the Start Menu. ADB and Fastboot will now reside in the C:android-sdkplatform-tools folder if you followed step 2 as outlined. If you chose a different directory, than ADB and Fastboot will reside in the platform-tools folder under whatever location you chose to install the Android SDK Tools to in step 2. Click here to download minimal_adb_fastboot_v1.3.1_setup.exe from the XDA forums. Note: the version number could be different if a newer version is released after this post has been published. When asked which directory to install the software to, we recommend that you set it to C:android-sdkplatform-tools, since we will be using that location for the rest of this guide. If you choose a different location, just make sure you remember it. Now it’s time to grab the most recent version of the Android Nougat or Android O Developer Preview factory image. Please click on one of the following links to download the appropriate file for your device. Just make sure to select the version that matches your device. This is very important, because you must flash the Nexus 5 image on a Nexus 5. A Pixel XL image won’t work on a Nexus 5. You will notice that each device has a bunch of links under it. Google makes it easy to revert back to an older update if you wish. The most recent update is generally at the bottom of the list. The Android O developer preview is available for the Pixel, Pixel XL, Pixel C, Nexus Player, Nexus 6P, and Nexus 5X. Note: Google will post factory images for each and every update moving forward. This means that you can follow this guide again and continue to get the latest preview of Android O right away without the need to wait until your device receives the OTA update automatically.